Ananth Vaidyanathan is perhaps the most celebrated trainer on Asian television. His unique technology has repeatedly created magic on Indian television since 2006. Indian Idol specially invited him to completely revamp the musical dimension of the show for the fourth season – commencing from auditions to the final gala. His students get a promise. Of discovery of a kind of vocal excellence and effectiveness that they could not have imagined was even possible. More…… Most singers, even professional singers, largely believe that they have to live and sing within the dimensions of a voice ‘given by nature’. Many go through their musical life and pursuits with a sense of vocal inferiority. Ananth Vaidyanathan breaks this myth. 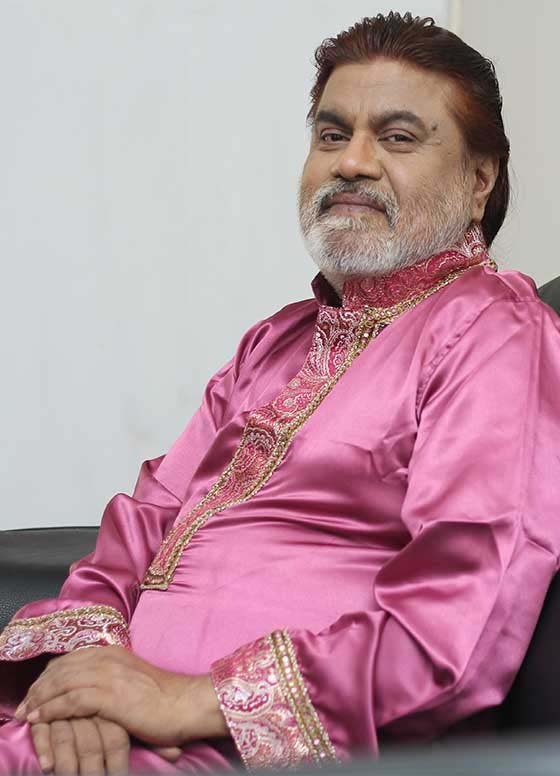 Considered India’s most successful and sought after voice expert, he is known to cut through the inadequacies of voices in a matter of days, even hours sometimes, to give a singer a startling glimpse of what his or her voice is capable of AT THIS VERY MOMENT. Ananth, a vocalist trained in Hindustani and Carnatic music, took training in the esoteric methods of the late Swiss voice wizard, Frederich Husler, who was a scientist, artiste, pedagogue and philosopher. To Vaidyanathan goes the credit of successfully applying his knowledge to the requirements of a variety of Indian music systems – a task that has taken him 25 years. Ananth Vaidyanathan teaches and propagates the interests of voice culture in India with a passion that is almost like an activist. ‘I had the misfortune of losing my own singing voice at the age of 23 for 12 years due to erroneous and misguided training. Many aspirants have suffered and continue to suffer a similar fate. Today I have a very good singing voice. It is my duty to share it with others. But my dreams go beyond the individual. I dream of a new level of excellence in our music forms and performance practices’. Ananth Vaidyanathan is perhaps the most celebrated trainer on Asian television. His unique technology has repeatedly created magic on Indian television since 2006. Indian Idol specially invited him to completely revamp the musical dimension of the show for the fourth season – commencing from auditions to the final gala. In 2007 he trained 10 actors to sing on Jhoom India on Sahara television. He has been invited to specially train finalists of the Super Singer program of Star Vijay TV since 2006. Zee Kannada, in a departure from the Saregamapa format, brought him on board to train voices and performance practices of housewives in the Grihini special. Sony invited him to train professional singers in the mould of Kishore Kumar in K for Kishor in 2008. Jaya TV has presented a special feature on his voice engineering achievements and techniques as part of the Little Masters event. From 2010 Ananth Vaidyanathan has become known as the most durable icon in the Airtel Super Singer of Vijay TV. While he continues to offer his services on occasion on other channels outside Tamil Nadu and abroad, Vaidyanathan says that Vijay TV has offered him a long term platform to showcase his unique training methodologies. The relationship between the expert and the channel is considered one of the long standing exclusive media relationships on Indian television. Vaidyanathan has worked with the Dream Star finalists of Derana TV, Srilanka, and was also a celebrity voice expert on Indian Voice Season One, Mazhavil Manorama channel of the Malayala Manorama group of Kerela. He conducted a workshop for professional singers in Singapore in early 2012.In 2014, he conducted workshops in Sydney and Melbourne,Australia.